This is the JConcepts Illuzion "2012 Chevy Silverado 1500" Hi-Flow Short Course Truck Body. Wherever you are, you'll see a Chevy Silverado on the job. Never one to relax, JConcepts introduces the 2012 Chevy Silverado 1500 SCT body. Starting with its low-profile design, beefy fenders and noteworthy Silverado appearance, the 1500 SCT body is inspired by the looks of the class leading full-size trucks, loaded with performance and Hi-Flow features. Fitting on 6 different trucks as a direct fit and over 9 different vehicles overall, the Chevy 1500 is just what you have been looking for. The air escape package on the Silverado consists of user friendly trim-out areas which have been strategically placed to ensure a clean race-able look that minimizes the trouble-some parachute effect. The large Hi-Flow areas are depressed into the body which allows the user to simply score the bottom pocket and pop-out for instant results. The Hi-Flow, reverse, hood-scoop, used predominantly as an under air release feature, blends beautifully into the sculpted extra-clearance fenders while releasing the front end of inner pressure. Whether you start your day on the race track or in the back-yard, the Silverado packs a serious punch straight out of the package. The head-light and grill treatments scream Chevrolet while the extruded fenders and detailed body panel trim section brings a 3rd dimension to the vehicle’s appearance. The X-braced, roll-bar features highlight a terraced rear bed area while stylish number and name plates finish off the body giving it that authentic short course look. Easy body to cut out! 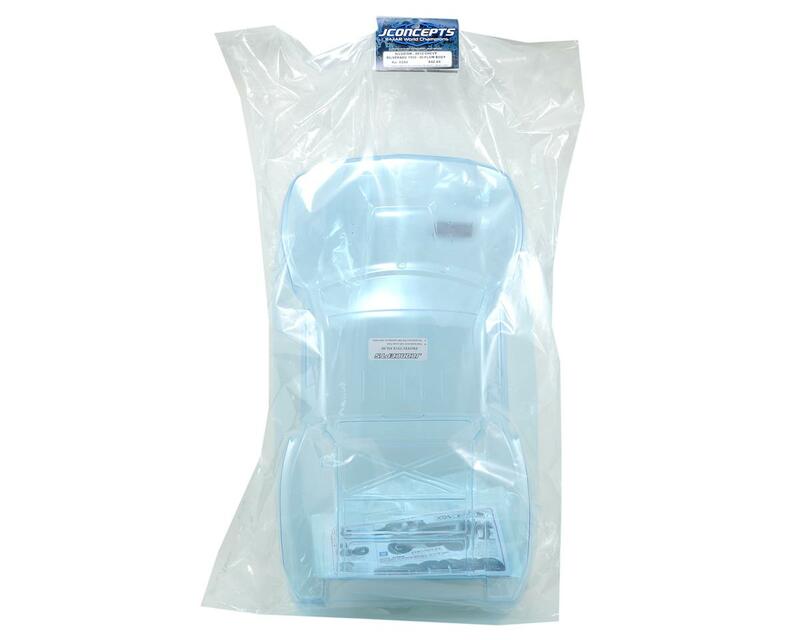 Great quality lexan and premarked holes for body post with easy instructions. Very detailed instructions for mounting and even some notes on decal page. No body rub on fenders. Awesome body, perfect fit Losi 2.0 SCTE. 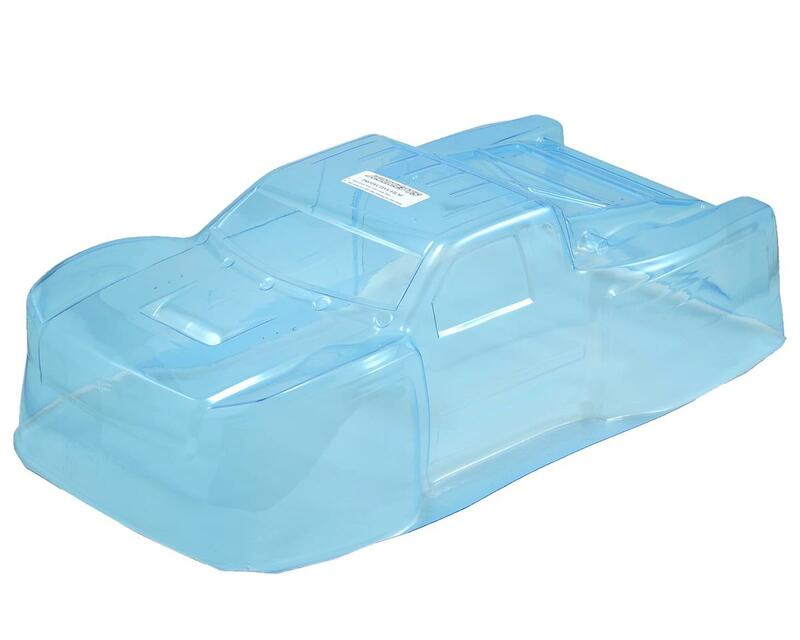 Durable, thick heavy duty body, with classic Chevy body lines ! Im my opinion it's the best looking SC body on the market. East to cut out and fit and durable as I have just about done everything imaginable to this body and it just comes back wanting more. Planning on getting a few more for my truck as well as my daughters. Excellent body! Honestly prefer it over the proline flotek and I do own both. Im running the Jconcepts body on my sc10 right now and my ofna nexx 10sc. Fit both great. The venting system on this body made a huge difference on my sc10 and signifigantly cut down the parachuting issues I was having. Also the durability seems to be excellent in my opinion better than the proline. I really enjoy this body, it was a simple to cut which is really important for me and anybody else who doesn't want to spend hours trimming a body like the proline flotek. I don't recommend trimming out the rear section of the truck for air flow. It seems like it will break unless added support (shoe goo and dry wall tape). I also like how low the body actually sits plus it seems to be a little wider to still run a little bigger offset wheel and still tuck it in the fender wells. I gave this a 4 out of 5 just cause I would like to see more design for air flow but thats not gonna stop me from buying another one. Can someone who's bought this tell me if the instructions indicate whether or not this will fit on an ECX Torment? Thank you.